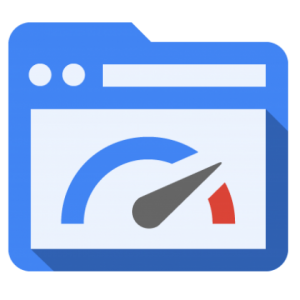 PageSpeed is a test created by Google to measure page load time. A favorable PageSpeed rating is critical for user experience, which directly translates into rankings, visitors, and sales. This metric is key to improving your business. What should my score be? A score of 85 or above gives you a ‘green’ rating, while a score below this is either orange or red. There are various rating items, such as if you have blocking scripts or style sheets that load before the site loads, your general server speed, if you have caching, and other items related to styling. Page Speed is a critical component in the digital user experience, and it is hugely important in our content-driven world. There’s a reason why Google Analytics now includes statistics like Page Load Time, Lookup, and Page Size. How often do you abandon a page when it takes too long to load? Chances are that your customers and prospects are doing the same thing. Major players in the industry have done vast studies on the topic and proved just how much a few hundred milliseconds can matter. At VerticalSwitch, we realize that your choice of web hosting greatly affects both the user experience of your potential customers, as well as the search engine ranking of your website. We leverage a combination of lightning fast SSD Drives with performance optimized servers to deliver ideal results. We’ll even fine tune your cloud or dedicated hosting account to help you achieve the best possible performance based on the specific needs of your website. Make your website load faster, rank better, and generate more sales with our 60 day money-back performance guarantee. Make the switch today!